My summer in the Faroe Islands is over, but much remains to be done. I left the Faroe Islands a few weeks ago, and after detouring in Denmark, England, Wales, Man, and Ireland on the way home, I’m finally back in Missouri. There’s still a lot of summer left here — and here, summer means the concrete’s so hot you can watch your footprints disappear in seconds, sweating is natural and welcome, and the lake water’s so still and warm, you can almost fall asleep in it, lying on your back beneath the stars on a sultry dark night. Summer in Missouri — what’s always been familiar suddenly feels unfamiliar. It’s been a strange transition. I was able to readjust to some aspects of life off the islands (trees, large buildings, busy roads…) along the way, but it still hit me surprisingly hard to look out of the window of my Chicago – St. Louis flight at endless, hazy blue and realize that it wasn’t the billowing sea I was looking at, but land… an unimaginable amount of solid land. And then there was the moment I stepped out of the airport — still clad in jeans, wool socks, hiking boots and a long-sleeved shirt (though I had taken my heavy sweater off moments earlier) — and into what felt like a solid wall of heat and humidity. I found myself gasping for breath. The heat index on my first day back reached nearly 42 C.
In quiet moments, I’ve felt a strange longing for the cold blue fog of so many summer nights in Gøta. And this from the girl who, just a few months ago, had a secret fear of falling off the islands — so unused to the lack of a whole continent as a cradle. The girl who once saw a photo of Greenlandic children wearing thick sweaters in July and swore, shivering, that she’d never live in such a terrible place. The girl whose only reference point, the first time she was enveloped by a rush of bright summer mists, was the cinematic white-out that signals entrance into some other, higher dimension. 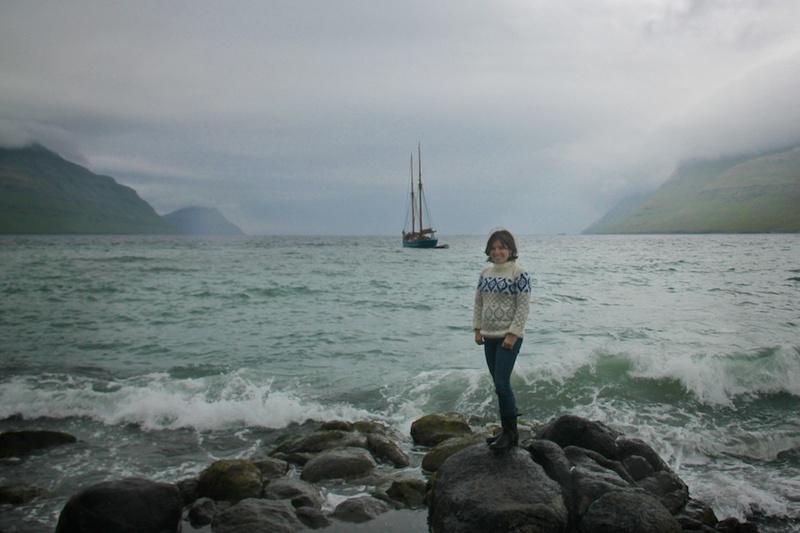 Summer in the Faroes — an experience I would never have imagined. I guess I’ve come 180 degrees… and back again. Though I’ve now left the Faroes behind me physically, I doubt I’ll ever get them out of my mind or my heart. 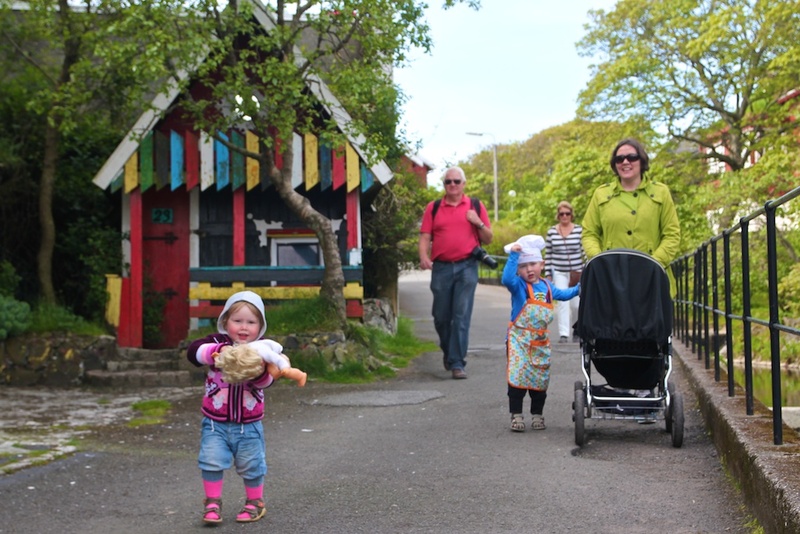 I certainly hope to maintain a lifelong connection with the nation and with the wonderful Faroese people who welcomed me into their homes and lives. 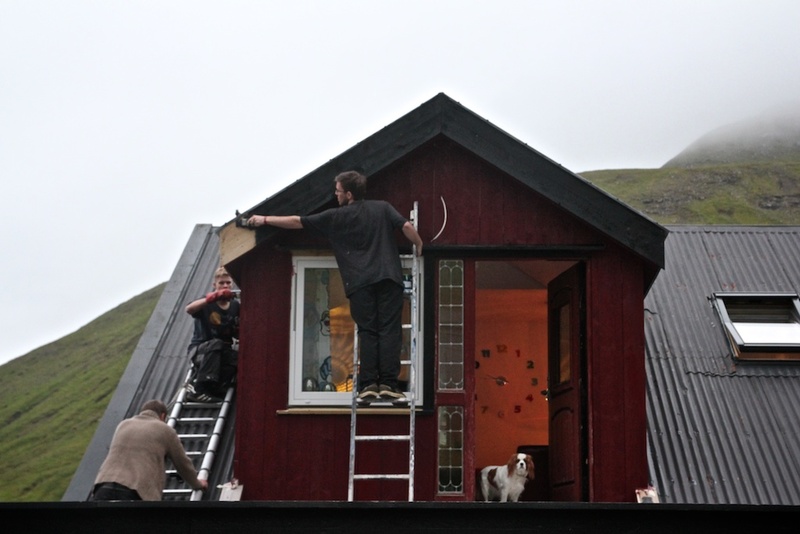 More immediately and concretely, I am not yet finished with the project that took me to the Faroes this summer. I had more I wanted to see, do, process and share than I could ever have accomplished during my short stay. So as the summer progressed, I made the executive decision to focus on the first two. Over the next few months, I will be editing photos, transcribing interviews, thinking, and writing, writing, writing. 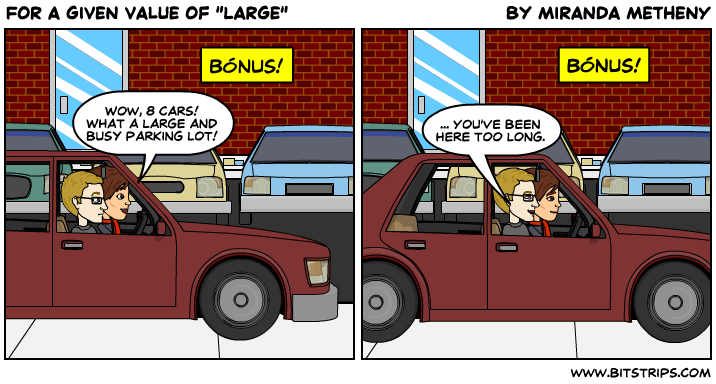 Rather than being the end of my Land of Maybe blog, my homecoming is closer to a beginning. So please stay tuned — there’s so much I can’t wait to share with you! 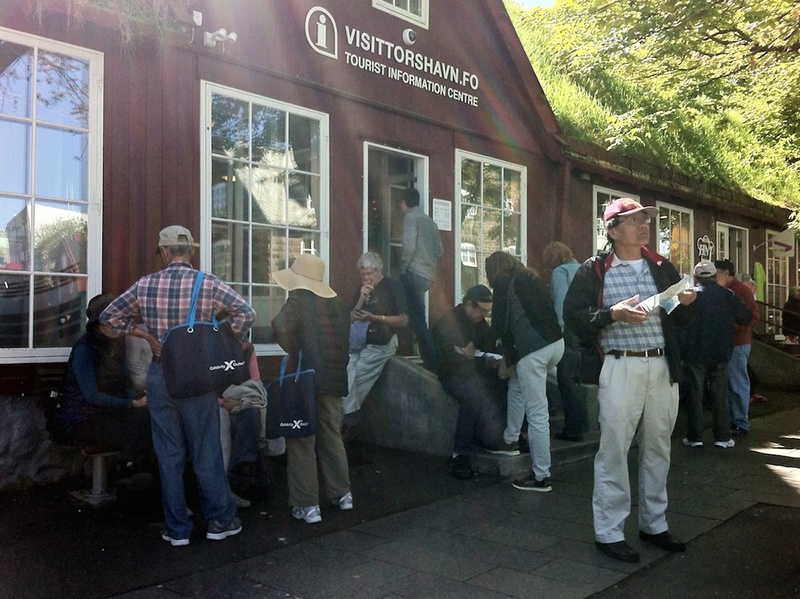 This entry was posted in Culture, Daily Life, Faroe Islands, Nature, Travel and tagged Faroe Islands, faroe islands travel, Travel on August 27, 2014 by Miranda Metheny. High Summer has come to the Faroe Islands. The yellow buttercups and marsh marigolds have been joined by white clover, purple ragged robin and lacy umbels of angelica. The days are at their longest, the hills at their greenest, the weather at its finest — but keep calm, we’re still talking Faroese standards. 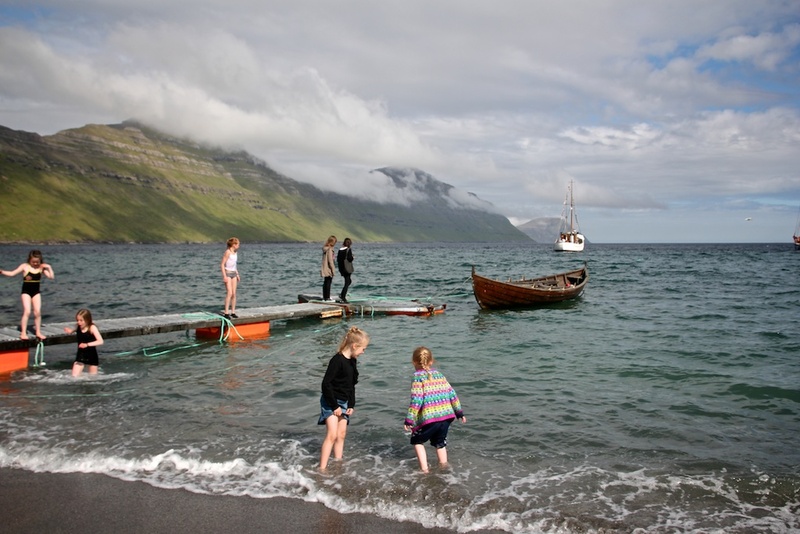 The Faroese version of a “Beach Day” at the G! Festival — not exactly for the Miami crowd! Yesterday the G! Festival began in earnest, my lovely host family finished painting the upstairs and the outside furniture, and Norðragøta was loud with the sounds of seagulls and drunk festival-goers, our house full of guests stuffing themselves on bollar and home-made rhubarb jam, and hundreds of sheep baaaa-ing as they were herded down off of the mountain Tyril to be sheared. Painting houses in the summer weather. Is it any wonder I’m struggling to find time to update my blog? This entry was posted in Culture, Daily Life, Faroe Islands, Nature and tagged Faroe Islands, Travel on July 18, 2014 by Miranda Metheny. A quick look at current Fareose demographics reveals an oddity — the country is short on women. Though the gender imbalance has fallen from a 2012 high (when there were over 2,000 more men than women in the country), there’s still a striking and problematic discrepancy, especially when you consider that the missing women are mostly in their twenties and thirties, prime ages for dating and having children. Media coverage and common sense would have you believe that the Faroe Islands is facing an enormous problem in the near future, as fewer women means fewer babies. Population growth could stagnate or reverse if no incentives are made for the women to come home, or if new women aren’t found elsewhere, such as from Thailand or the Philippines. In other places, gender imbalances are also known for leading to all sorts of sociological ills, such as increased violence against women. 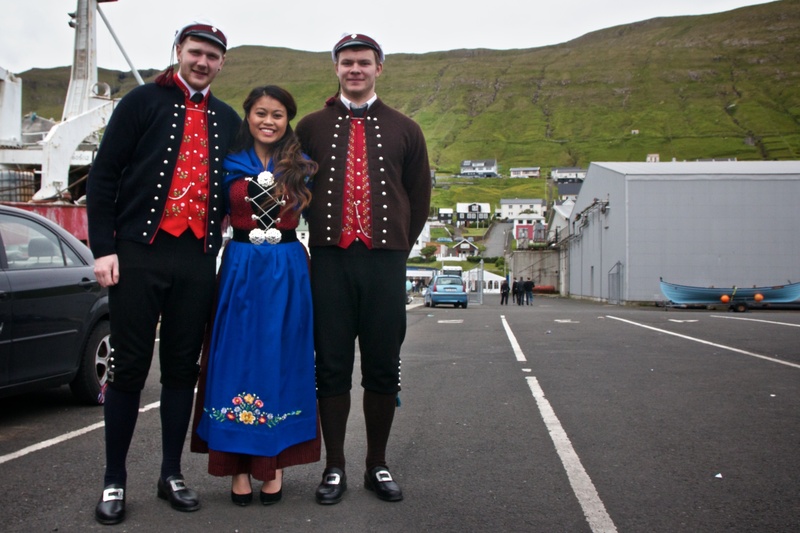 A young Thai-Faroese woman attends the Joansøka festival in Vágur, Suðuroy, with her boyfriend and another friend. But since coming to the Faroes a month ago, I’ve seen none of that. Okay, so I’ve seen a few ethnically Asian women here and there. Mostly beautiful, with very cute children. And maybe they’re the reason that I can buy coconut milk and curry paste in even the smallest Faroese grocery store. If that’s the case, I’m grateful to them. I have a hard time living on meat and potatoes alone, even smothered in tasty Faroese gravy. Otherwise, though, the country seems to be missing its ‘missing’ women. Everyone knows where they women have gone — Denmark, mostly — but where are the holes they’ve left behind? I’m just not seeing many schools shuttering for lack of children, restless single men, women left behind by all their friends and desperate to get away. Yes, everyone knows someone who has “gone down” to Denmark to study or work, and most families have at least one member away across the water, but it’s young men they’re missing, too. And most are hoping to come home to the Faroes in due time. Graduates of the Studentaskúlin (junior college) in Eysturoy gather on the beach in Gøtu as part of their graduation ceremony. This year’s graduating class was more than two-thirds female. Most people I’ve asked about the lack of women know that the issue exists, but in an almost abstract sense. They all know women who have gone abroad, and they understand why — to get certain types of educations, pursue certain careers, to marry foreign men with whom they’ve fallen in love — but they’re not seeing dramatic effects, and they don’t seem too worried about the future. They don’t believe they’re in a society on the verge of collapse, instead they are optimistic that, despite some problems, things are moving in the right direction. Take this all “with a grain of salt,” because I still need to do some actual background reporting on this issue, gather statistics and hard facts and talk to the experts. So far, I just have my own observations and those of the many women who have so far made time to talk to me. 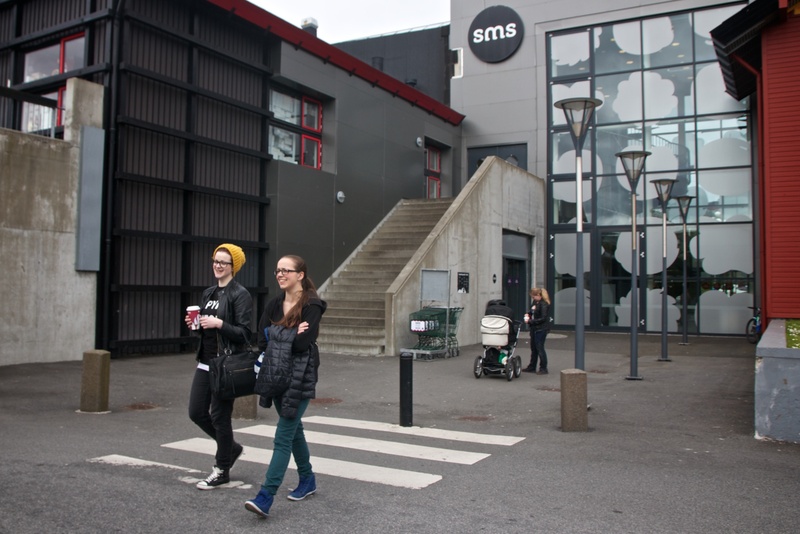 Jóna Venned walks with a friend outside of the SMS shopping center in Tórshavn. Jóna has been abroad to work in Switzerland and travel and visit friends in several other countries. 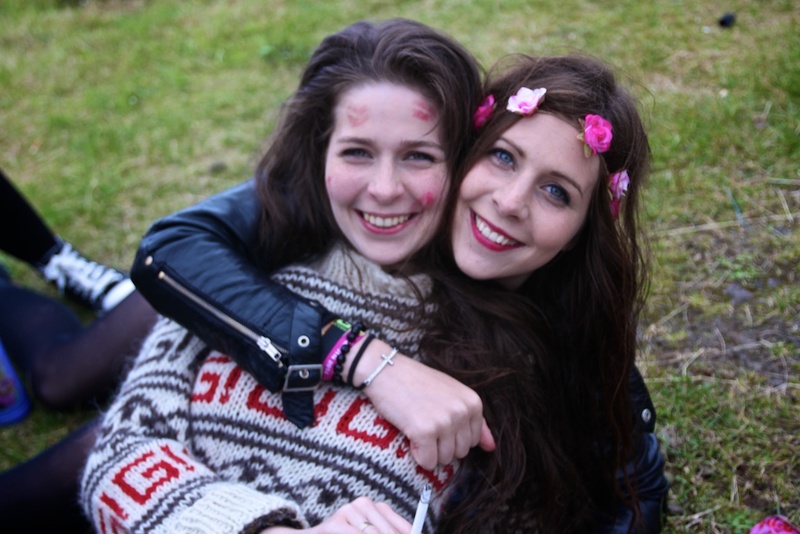 She will leave next year to study in Denmark, but plans to move back home to the Faroe Islands afterward. “I think the circumstances have changed and it is a lot easier to be a woman in the Faroe Islands compared to what it has been. 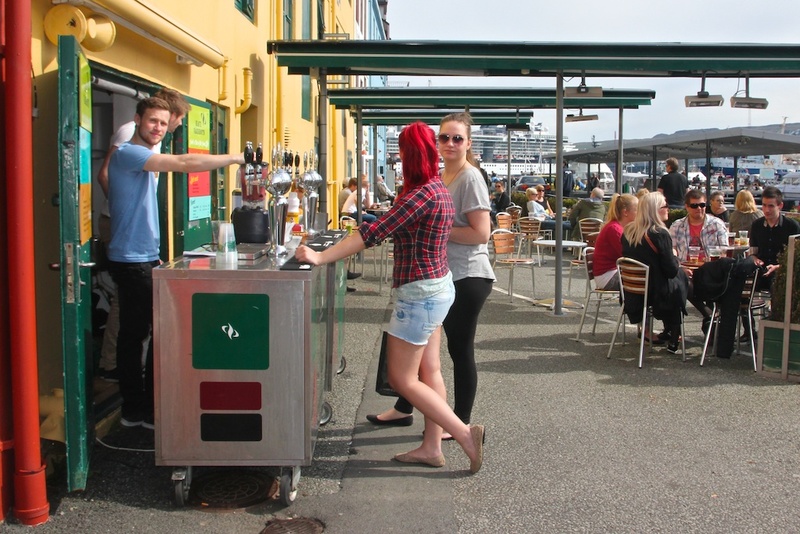 It is kind of conservative, it has always been conservative,” says Jóna Venned, a 24-year-old from Tórshavn. She says the society is continuing to move towards greater equality in homes and workplaces, and that there is also an effort underway to make it easier for single parents to live in the Faroes. 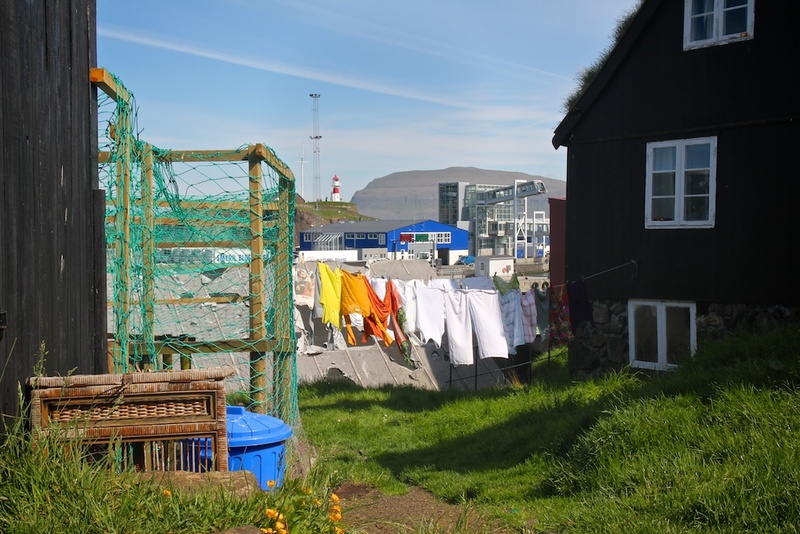 This entry was posted in Culture, Daily Life, Demographics, Faroe Islands, Journalism and tagged Faroe Islands, Faroes, Travel, Women on June 30, 2014 by Miranda Metheny. 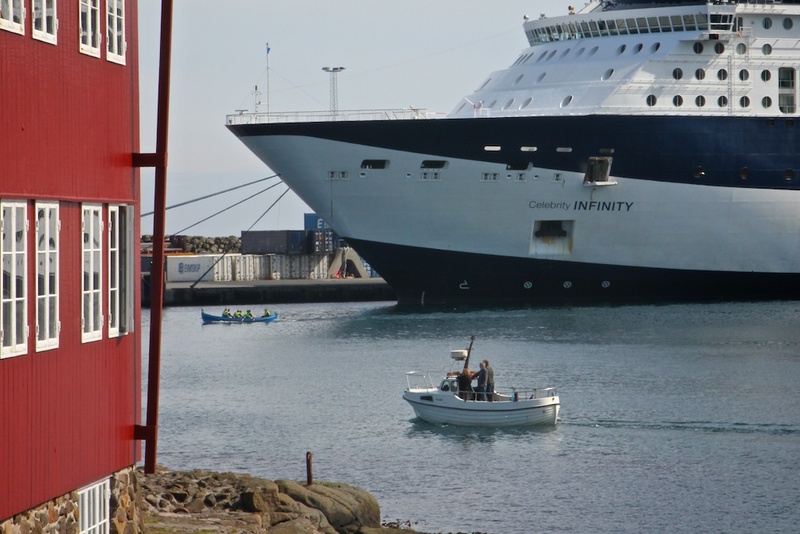 The weather was gorgeous on a recent trip to Tórshavn, and between the blue skies and the huge cruise ship docked in the harbor, the city was full of lively activity… and one man taking a nap in the sunshine! This entry was posted in Culture, Daily Life, Faroe Islands and tagged Faroe Islands, Sunny, Travel on June 27, 2014 by Miranda Metheny. Now that I have been in the Faroe Islands for a few weeks, I have gotten started with my research interviews. I plan to talk to several Faroe Islanders of varying ages, genders, and places of residence about how the Faroe Islands are represented to foreigners through various media channels, and how they feel about those representations. So far, I have conducted three formal interviews and more than a dozen informal conversations on this topic. 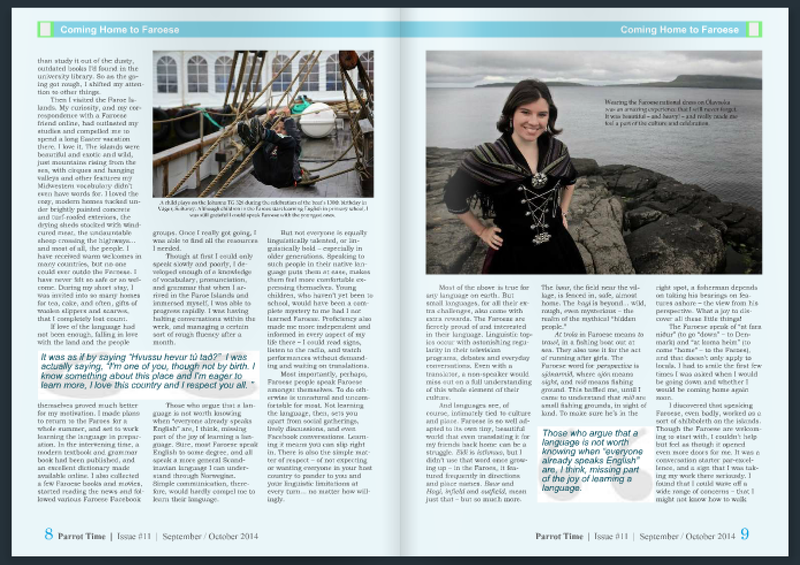 One trend that has started to suggest itself is that the older interviewees have been more positive about representations of the Faroe Islands than the younger interviewees, even suggesting that the tourism imagery shows the islands in an unrealistically good light, while the younger interviewees seemed more bitter about anti-whaling sentiment and outdated representations. 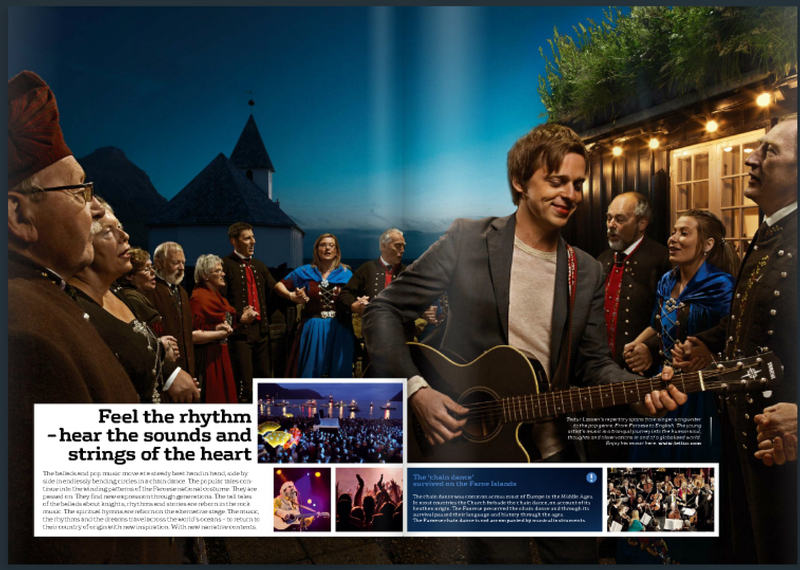 A two-page spread from Visit Faroe Islands’ new tourism booklets. This is one of the images I ask respondents to consider in the final part of the interview. One amusing wrinkle in the interviews has been that many respondents have recognized people they know in the example media I’m presenting to them. In my very first interview, I showed part of a video, and my interviewee asked me if I would like him to introduce me to the people speaking in the video. 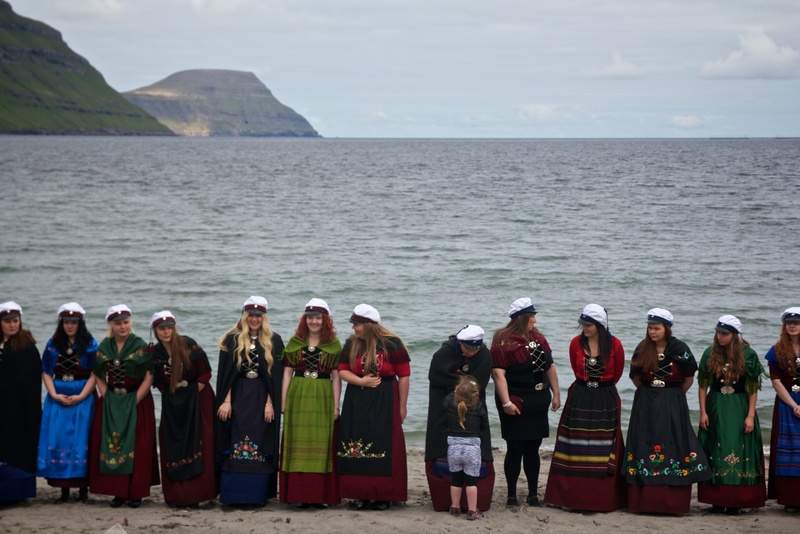 In another interview, when I showed the above photo of the Faroese ring dance, the interviewee told me that she recognized “almost everyone” in the photograph, as they were all from Klaksvík! When I was planning the interviews, the possible frames I felt that I had seen in representations of the Faroe Islands were exotification (through emphasis on the traditional ways of life or the remote, wild natural conditions), trivialization (due to the nation’s small size), and conflict (presenting the Faroe Islands as backwards, especially in regards to the controversial grindadráp). So far, no one has mentioned the trivialization frame, except to say that many people are not aware of the Faroe Islands at all. One man told me an anecdote in which he was travelling and tried to explain where he was from to some people who had never heard of the Faroes. He said that it was in between Scotland and Iceland, and they insisted that no such country existed. He looked around for a map of Europe, and when he found one, the map itself was missing the Faroe Islands! He had to find a second map to prove that he was, indeed, from a real place. 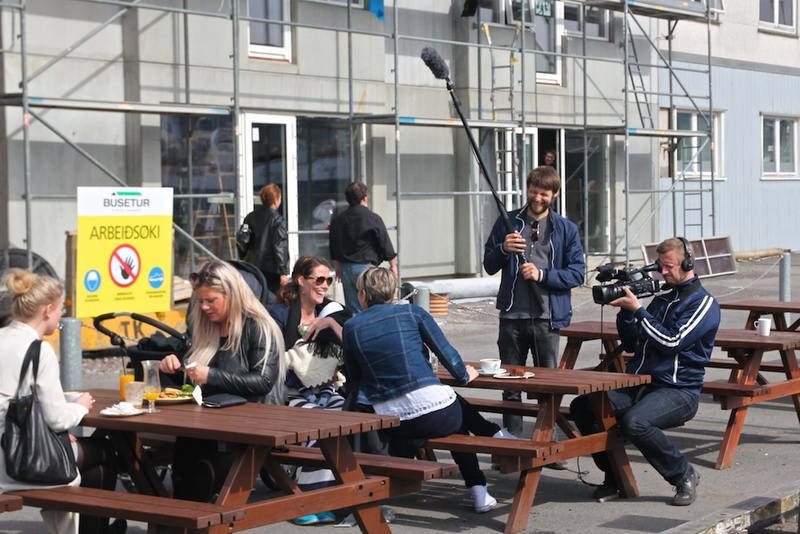 A screenshot and description of the Danish tv documentary, “Kvindeflugt fra Færoerne,” which is about the gender disparity in the Faroe Islands. This is one of the images I ask respondents to consider in the final part of the interview. – They focus more on old traditions, such as the ring dance, and less on growing, current trends like modern music and cuisine. – They are antiquated, and haven’t caught up with the changes of the last 10-30 years. 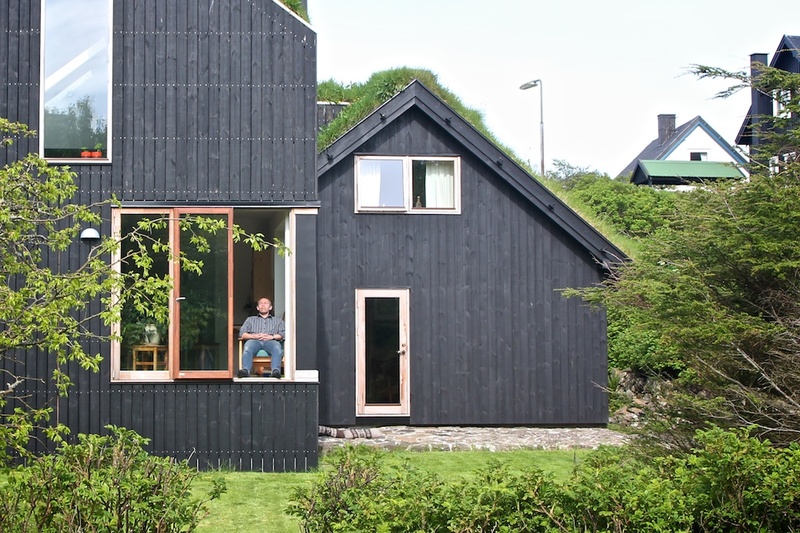 – They imply that everyone in the Faroes is a sheep farmer or a fisherman. – They play down or ignore the existence of modern institutions like hospitals, shops, and the University. – Information about the Grindadráp is filled with inaccurate claims, such as that the pilot whales are endangered or killed for fun. – They have beautiful photos and descriptions of the unique Faroese nature. 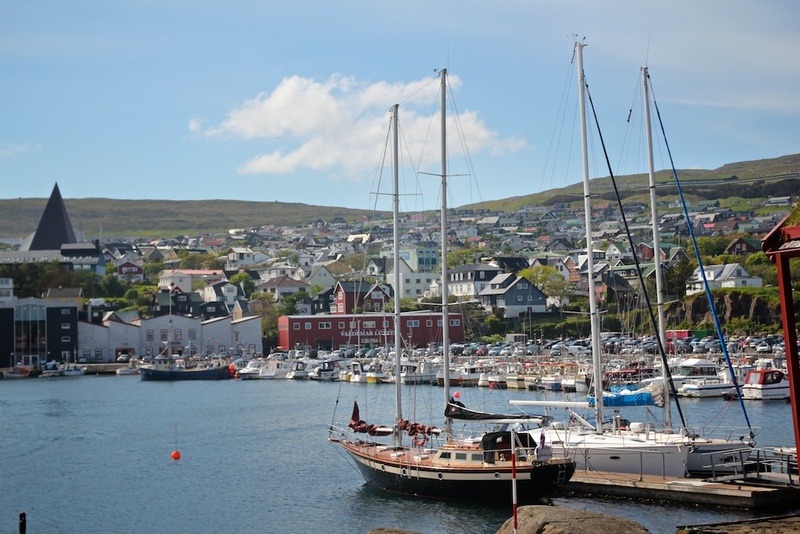 – However, they could be painting an unrealistic picture of good weather and endlessly clear skies, conditions which are rare in the Faroes though they do occur. – They ignore the winter almost completely in favor of coverage of the brief tourism season (June-August). 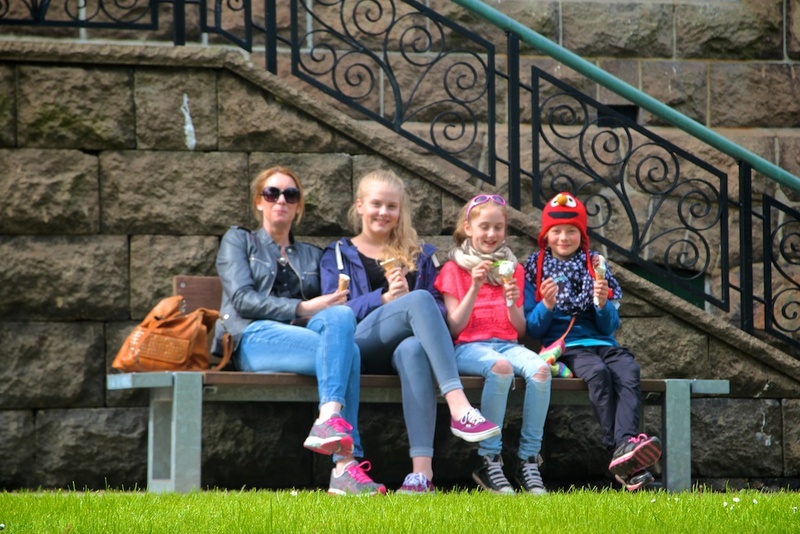 – They are concerned that tourists might not understand that the Faroese weather is uncertain and changeable, and that everything in the Faroes is expensive. 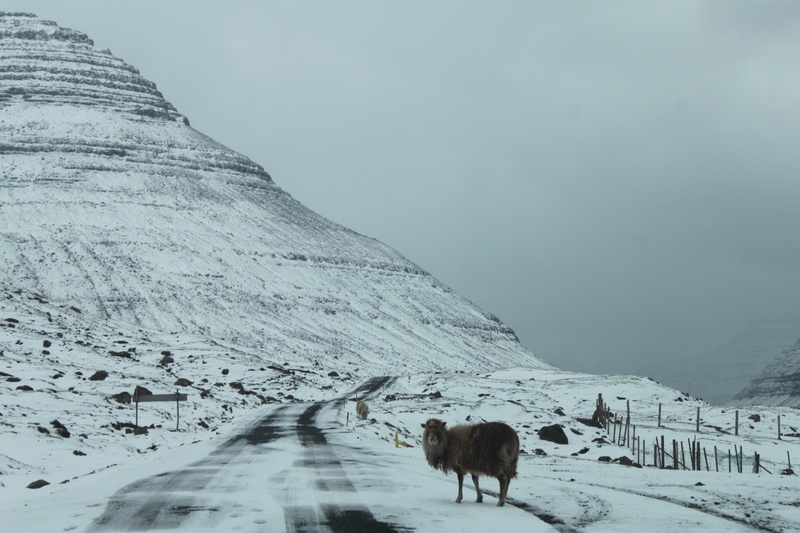 A sheep walking on the road leading to the village of Múli. This is one of the images I ask respondents to consider in the final part of the interview. So far, one of the most intriguing things to come up in an interview was one woman’s suggestion that many of the problems she saw in representations of the Faroe Islands had the same problematic root — that foreigners almost never travel to the islands in the winter. Not only does that ignore more than half of the year in the Faroes, she thinks the long, dark, stormy winter has a huge effect on the Faroese culture, and that, without understanding that, it’s impossible to explain the Faroese mentality or perspective on a wide range of issues. 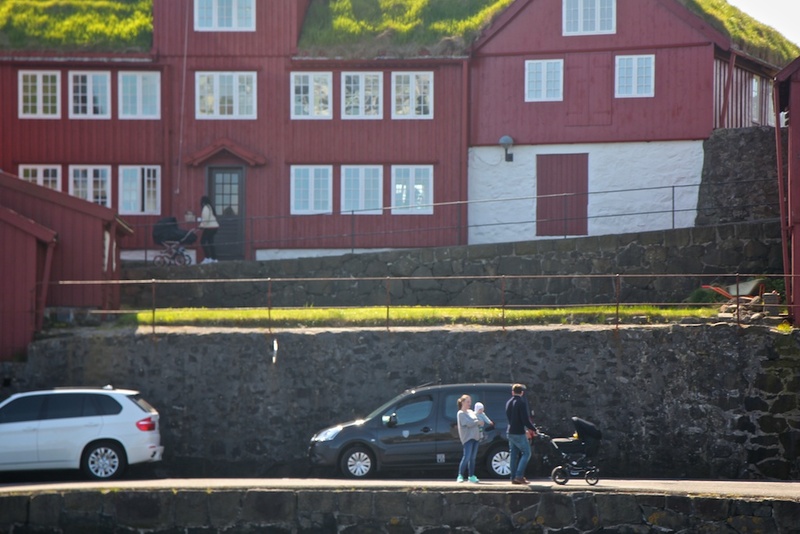 This entry was posted in Culture, Daily Life, Faroe Islands, Journalism and tagged Faroe Islands, Travel on June 16, 2014 by Miranda Metheny.